Read traditional Greek recipes and enjoy the excellent olive oil of Achaia Ladi Dymis in various forms for unique taste experiences. Wet the rusk lightly with a little water. Chop the tomatoes in small pieces or grate them. Sprinkle the rusk with half the olive oil and a little salt. Put the tomatoes on top, leaving a gap in the centre to put the feta or xinomizithra cheese. Sprinkle with salt and oregano. Drizzle with the remaining olive oil and serve. Dakos can be served as a main dish. It has all the necessary components of a complete meal and no additional food is required. 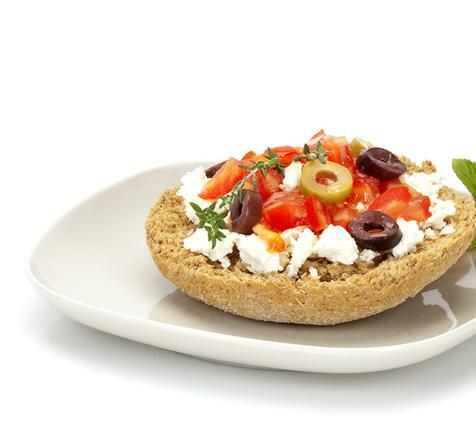 A cretan dakos can even be accompanied by a glass of white wine. Peel and finely chop a couple of large ripe tomatoes. Salt them and simmer for 6-7 minutes until the liquids are absorbed. Add 6 tablespoons of extra virgin olive oil and stir for 2-3 minutes. ​Then beat 4 eggs and pour them into the pan. Sprinkle with a little pepper and simmer for a few minutes, pouring the sauce on them every now and then. If you wish, you can add a little crumbled feta. They are served with the sauce and the oil. Wash, salt and cook 4-5 slices of fish - preferably snapper or grouper - on the barbecue or grill. 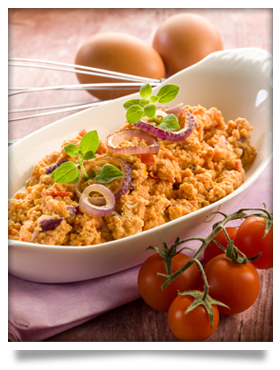 Mix two medium chopped tomatoes, a cup of extra virgin olive oil, the juice of half a lemon, one tablespoon of chopped parsley, and salt and pepper in a bowl. 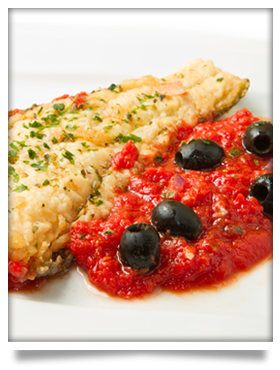 ​Pour the tomato sauce and the olive oil on the fish and serve hot. 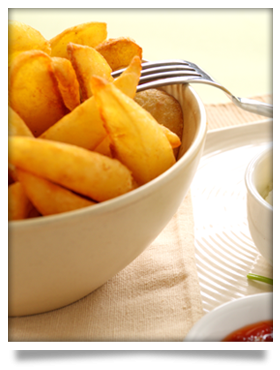 Peel and cut two large potatoes into chunks, salt them and drizzle with the juice of half a lemon. Then cover them and leave them for approximately 45 minutes. Heat 2 cups of extra virgin olive oil in a deep pan. ​Put the potatoes in the hot oil and let them fry with the lid open, until golden brown. Take them out with slotted spoon and place them on absorbent paper until they drain completely. Eat while still hot.